IVINS — The City Council approved a zone change to allow for a new RV park to be built near the city’s entrance along Highway 91 Thursday evening. The ordinance approved a zoning district map amendment to change the property located on the south side of Highway 91 at approximately 100 West from residential and agricultural to RV resort. The amendment was the subject of a months-long debate and legal challenge between the property owner, the Graf family, and the property’s neighbors, the Pendleton family. At stake was the need for a transition zone between the properties. The families came to an agreement in a mediation conducted by Mayor Chris Hart which calls for a 180-foot buffer zone that would remain zoned as residential and agricultural. The ordinance was approved in a 4 to 1 vote by the council. The lone holdout, council member Dennis Mehr, had previously argued for denial of the amendment based on the Planning Commission’s recommendation to deny the zone change, but he expressed his appreciation to the parties for working through their differences privately. The approval is effective immediately and allows the Graf family to begin work on the new RV resort. Jon Graf, who is overseeing the project, previously said the resort will be targeted toward wealthy clientele for short stays. The city will also benefit by collecting a transient room tax from lodgers. During a previous public hearing on the matter, several residents expressed safety concerns for cyclists on Highway 91 who would have to deal with potentially dangerous RV traffic. “We happened to actually review the accidents on Highway 91 and none of those accidents involved an RV of any kind,” City Manager/Attorney Dale Coulam said. The city also has regulations in place for RV resorts that require increased safety features for nearby roadways, such as left turn and deceleration lanes. 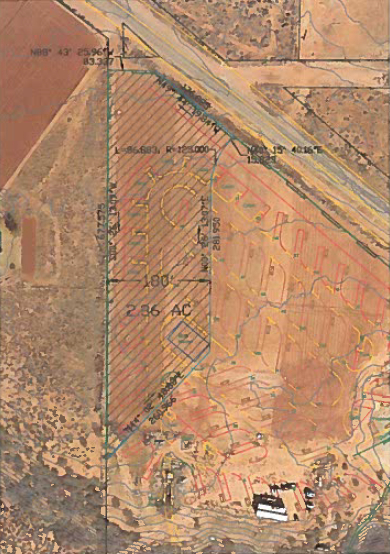 The council approved an agreement for the acquisition of property near the Cliffrose Tank site. The deal includes several acres at bargain prices, and the property is adjacent to the Red Cliffs Desert Reserve. The mayor argued the acquisition could help mitigate the costs of any potential future development in or near the Tortoise reserve, which requires a 5 to 1 land swap. An agreement for the acquisition of an easement for the Kayenta Debris Basin project was approved by the council. The easement includes road access over the site of a dam. The council approved of an expenditure for improvements to the Tuacahn Drive Trail. The trail will be lowered to run down slope from the road.